If your property is in rural location, you may have a sewage treatment plant already serving your property. Make sure your compliant to the latest Environment Agency ‘General Binding rules’ it’s your responsibility to make sure your sewage treatment plant is serviced & emptied regular by your chosen contractor. We operate throughout East Anglia for simple repair to maintenance please contact us for routine servicing or problems you might be experiencing. It’s not uncommon to find sewage treatment plant only being serviced until they are causing bad odour, drains backing towards the property, or potentially contaminating the watercourse. Homeowners should be aware of their responsibilities to ensure the sewage treatment plant is serviced regularly in accordance to the manufactures maintenance schedule. Routine servicing of the sewage treatment plant would offer peace of mind the sewage treatment plant is operating correctly and looking after your local environment. Servicing and emptying intervals can vary depend on the manufactures maintenance schedule and population of the sewage treatment plant. Most sewage treatment plant up to 20 population you would expect service intervals from 6 month to 12 months with annual emptying. Commercial sewage treatment plants would require servicing and emptying intervals to be more frequent. Sewage treatment plants are mechanical process which creates the right environment to treat the incoming wastewater. The bacteria produced is called ‘aerobic bacteria’ where oxygen is present in the treatment zone. There are various stages to the sewage treatment plant with settlement zones to keep the aerobic bacteria and solids in suspense whist discharging the clean effluent to drainage field or watercourse. There are many different types of sewage treatment plant design on the market; activated sludge process, Submerged aerated filter (SAF), Rotating biological contactor, Sequencing batch reactor (SBR), Trickling Filter. The sewage treatment process could involve air blowers, submersible pumped outlets, rotating discs, media, servo motors. If your property is served by sewage treatment plant it could be one of these sewage treatment plant process which can vary on maintenance intervals and emptying. Lack of serving could be costly mistake to your pocket and the environment. Please contact us on 01206 89022 or contact us through our website submission form to book health check on your sewage treatment plant today. Why do I need to get my sewage treatment plant serviced? You should get your sewage treatment plant serviced regularly to make sure it’s working properly. 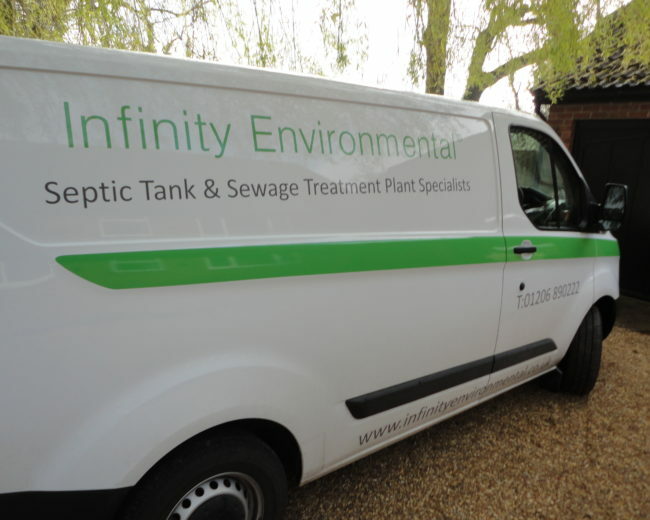 A faulty sewage treatment plant could waste you money and might even cause pollution to your local environment – so you should get them serviced by a service engineer at least once a year. We’ll inspect your sewage treatment plant and controls to make sure they’re working properly. We’ll check your sewage treatment plant for corrosion and leaks. We’ll take check all parts of your sewage treatment plant to inspect the main components. We’ll check adequate ventilation or air pressure throughout the treatment system. We’ll test the blower or motor to make sure the right environment for treatment process can be established. We’ll clean the parts (if tests indicate they need it). We’ll pop the inspection lid on and check the seals. We’ll leave you with a checklist of information about your sewage treatment plant.